Like many parents I’m keen to know what my children do in school. I find that the best time to talk about this is when we’re all sitting down as a family over dinner. I ask my children what they do in school, who did they play with and did they learn anything. Sometimes my children indulge me with this information, but most of the time I get the standard response of, “I can’t remember”. I’m sure this is something many parents hear! If you’re like me and you wish that you knew more about what goes on in the classroom from your children’s teachers, then look no further than ClassDojo. Founded in 2011 (by two Brits) and based in San Francisco, ClassDojo is the most popular school communication app for teachers, students and families. 85% of UK primary schools use it. Find out more by visiting the ClassDojo website online here. ClassDojo lets teachers instantly share pictures, videos and messages about what’s happening throughout the school day. This is great news for parents as it means the answer to that all important question of what did you do in school today can finally be answered! In addition, ClassDojo helps to build a close knit, supportive classroom that bridges school and home. ClassDojo recently commissioned research among a sample of UK parents with children in primary school and it showed that 93% of parents would like to know more about what happens in their children’s classroom. I’ve often felt this way and sometimes find that no amount of asking will give me the answer I’m looking for. I also appreciate that teachers are very busy, so the last thing I’d want to do is approach my child’s teacher at the end of every day to ask what they did in school that day. This is one of the reasons why ClassDojo is so popular. It helps teachers and parents to communicate and offers a supportive learning experience for all involved. • 6% (so one in twenty) have given up asking what their children did in school each day, as they are convinced they will never get a straight answer!! I can certainly relate to all of these! As mentioned above 85% of UK primary schools are using ClassDojo. You can download the app onto your smartphone, tablet or PC if your child’s school is using it. 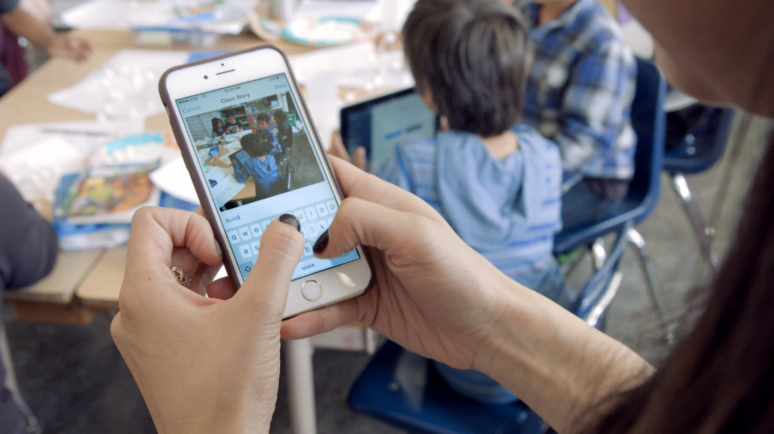 The app lets parents see the work that their child is doing in school right from their phone, plus you can share your parent code with grandparents so that they too can connect with their grandchild’s classroom. Another great feature is that parents can ask their child’s teacher questions via the app. For example, if your child has a school trip the following day and you urgently need to ask a question, you can do so via the app. Overall, I think ClassDojo is an excellent communication for parents and teachers. It allows parents an easy way to see what their child is doing at school and to get in touch with their child’s teacher should they need to. “Today, we’re often more connected to things going on halfway across the world than to our children’s lives. Families say goodbye in the morning, and often don’t see each other again until dinner time. Half of our children’s life is out of the picture”. “Being able to easily share a project children are working on, or see a picture of a ‘magic moment’ from class that parents otherwise would have missed brings everyone closer together. Compared to having a parent-teacher meeting once a term, this kind of frequent sharing a game-changer”. “The world is moving towards being closer and more connected. Sharing a moment from the classroom with the home can help bring families together after school. 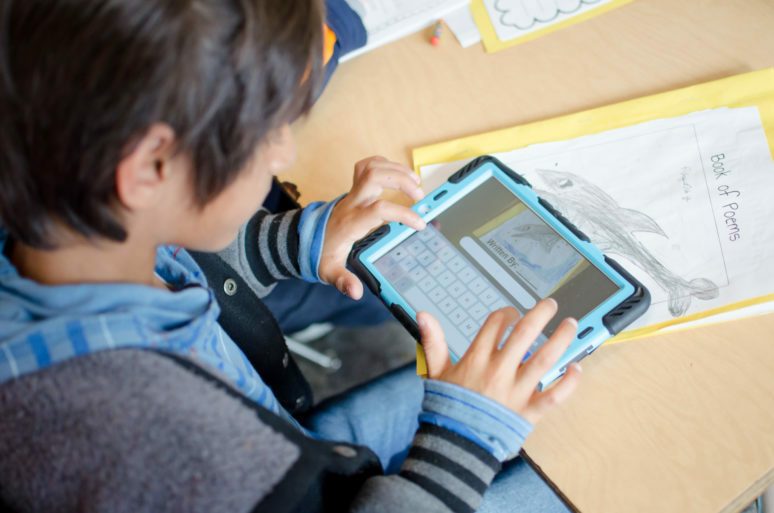 Does your child’s school use ClassDojo? What do you think of it? I’d love to hear your thoughts in the comments below.